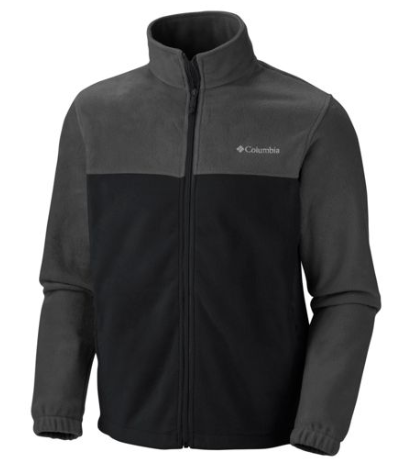 Get the Columbia Men’s Steens Mountain Full Zip Fleece Jacket for just $35 at Columbia.com right now, regularly $60. It’s available in 10 different colors, sizes S-XL (although not all colors are available in all four sizes). This same jacket is selling for $54.97 to $69.95 at Amazon! UPDATE: It looks like this jacket is now available (in limited sizes/colors) for as low as $34.99 at Amazon. Even better, get FREE shipping (and bonus points toward your next purchase) when you sign up to become a member at Columbia.com — it’s FREE to join (talk about a no brainer!). Columbia.com is over-priced (as many direct retailers are). This just happens to be the first site I searched. By no means do I think this is perhaps the best deal out there. It just seems that $30-$35 is not an uncommon price. No really you are not linking to the tech jacket you are linking to the 2.0 full zip, see comments on DansDeals of the Columbia jacket they posted and you’ll see the difference.